Call Us Now and Get Help Today! Where traditional medicine focuses on the symptoms, integrative medicine looks to identify and treat the root cause of why the symptom is occurring in the first place. If you have a chronic headache, a traditional physician will give you a prescription in order to minimize your headaches. 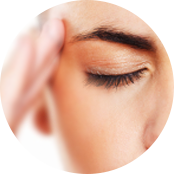 We take this further and ask the question, “Why do you have a headache?” Through the use of state of art diagnostics we have helped patients identify the root cause such as dehydration, food sensitivities, inflammation, etc. The goal is to stop their symptoms from occurring. Integrative medicine does not replace traditional medicine; it actually enhances it by allowing the body to heal through the partnership of the patient and physician. Good medicine should be inquiry-driven and be open to new paradigms. The use of natural, less invasive, interventions are used whenever possible, unless it is an acute infection. This includes the use of broader concepts or promotion of health, and the prevention of illness, as well as the treatment of disease. An ounce of prevention is worth a pound of a cure. If you prevent a disease, you’ll be able to handle more acute situations more effectively. Integrative medicine uses a team approach. We have medical doctors, nurse practitioners, physical therapist, chiropractors, and massage therapists who work together. Each practitioner comes to us with a unique background in Integrative Medicine & combined with our commitment to ongoing education we are leading a medical movement in Integrative Medicine. That is what makes Lifetime Health and Wellness unique. please call our office today at (847) 717-3400 for a FREE consultation. Stem cell therapy can stimulate cartilage, ligaments, bone and fibrous connective tissue. It offers a remarkable opportunity to heal painful damage without the harmful side-effects of an invasive, lengthy surgical procedure. For knee pain relief caused by osteoarthritis, we offer SUPARTZ Joint Fluid Therapy, Platelet Rich Plasma Therapy, and our very popular Regenerative Stem Cell Therapy. When a Disc slips or degenerates, you may have tremendous pain. 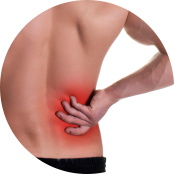 You only have so many options when you have a herniated or slipped disc. 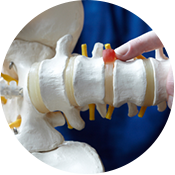 Our patients have had great success treating disc pain with Stem Cell Therapy. 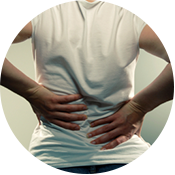 Do you have back pain? Whether it's upper, mid or lower back pain, Chiropractic is the best choice for most people since it does not contain the negative side effects of medications or surgery. Our patients also see great success with Stem Cell Therapy. There can be many causes for a headache, but one thing is certain - this pain is truly debilitating. A chiropractor can help sort out head and neck issues that are causing headaches.